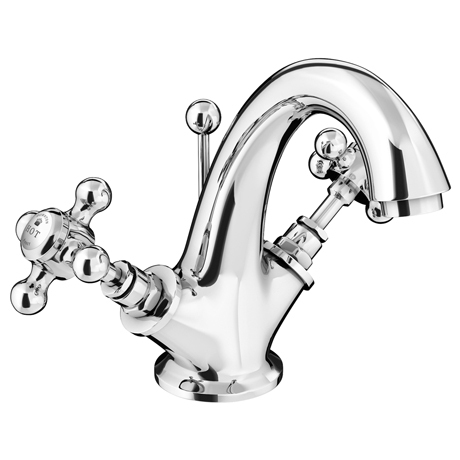 A stunning Traditional Mono Basin Mixer Tap based on a classic traditional tap designs from the Downton Abbey TV show. The Downton Abbey Bathroom collection of period inspired brassware captures timeless elegance and truly will give any bathroom a graceful quality. Constructed from a brass body, and finished in a luxury chrome finish, features a screw down cartridge valve, and for peace of mind, comes with a 10 year guarantee. Lovely looking stylish taps. Suits the new cabinet and rest of bathroom well.